Merle L. Riley, age 70 of Mt. Gilead, died Friday, March 22, 2019 at his home. 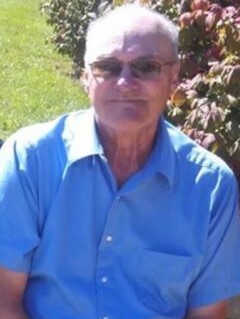 He was born on November 18, 1948 to the late Coleman and Josephine (Heslep) Riley in Mount Gilead. Merle had worked at the Marion Power Shovel for 15 years and then at the New Horizon Bakery for 30 years. He was a member of the Teamsters Union and also the Marion Eagles Club. Merle was an OSU fan and also followed the Cleveland Indians. He enjoyed bowling, golfing, hunting and fishing. His greatest love was to support all of his grandchildren. On November 16, 1968 Merle married Linda L. (Morris) in Cardington and she preceded him in death on September 25, 2013. He was also preceded in death by his two brothers Earl and Richard Riley. Merle is survived by his 3 children: Michelle Freeman, Randy Riley and Eric Riley all of Mt. Gilead; 5 grandchildren and 2 great-grandchildren. Friends may call at the Gompf funeral Home in Cardington on Monday, March 25, 2019 from 6:00 PM until 8:00 PM. The funeral service will be held in the funeral home on Tuesday at 11:00 AM with Pastor Stephen Bloomfield officiating. The burial will follow in the Rivercliff Cemetery. Those wishing to make a memorial contribution are asked to consider Angels Home Healthcare “Dayhab” program, 4440 State Route 61, Mt. Gilead, Ohio 43338. Those wishing to share a memory of Merle or to express a condolence to the Riley family may do so by visiting www.gompffh.com.